Events | "NATO 2.0: Reboot or Delete?" 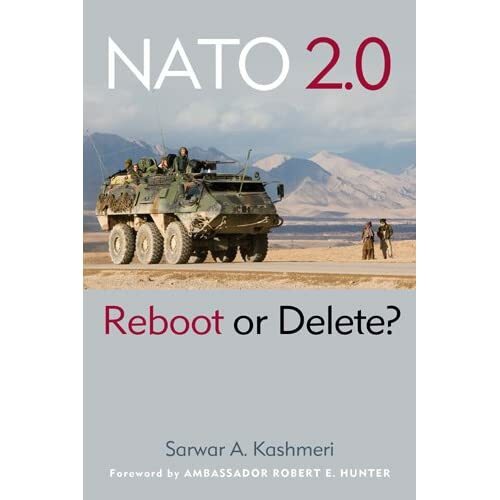 His New book: NATO 2.0: Reboot or Delete? President Obama and Coolidge: What the 44th President of the United States Might Learn From the 30th. In the light of NATO’s waning powers, the rise of the CSDP, and a Europe that is increasingly meshing its 27 members’ foreign and defence policies into a common approach after the adoption of the Lisbon Treaty, Kashmeri considers it meaningless to draft a future for NATO independent of the CSDP. He addresses questions on where NATO and the CSDP are going, and recommends several dramatic steps on how future global military forces should respond to common threats: bridge NATO and the CSDP; make the EU responsible for its own security; and invoke NATO only in extreme cases, establishing a common global vision regarding the use of force. “This book”, as Robert E Hunter of the independent American think-tank RAND Corporation and former U.S. Ambassador to NATO writes, is “the blueprint for moving forward”. Thursday, May 12, 2011, 2 PM – 4 PM: Dartmouth College, 28 Silsby. In conjunction with Norwich Bookshop, Norwich, Vermont. 2.15-3.30 NATO 2.0 panel discussion with Sarwar Kashmeri, and panelists: General John Craddock (former SACEUR) & Robert E. Hunter, former U.S. Ambassador to NATO. Moderated by Damon Wilson, Director, Atlantic Council’s International Security Program. Wednesday, September 29, 2010 (1100 – 1350) : NATO VALUES AND PARTNERSHIPS: WHAT DO THEY MEAN IN EUROPE AND ASIA? Monday 5 October, 2009: Chappaqua, NY-Great Decisions members. Speech and discussion on Afghanistan-Pakistan-India. Chappaqua Public Library, 10 AM. Private event.